FCE & Structural Design Limits - Piedmont Physical Medicine & Rehabilitation, P.A. The Functional Capacity Evaluation (FCE) assesses both the ability to perform a task and the structural design limits of the person who is actually doing the task. This standardized evaluation is also commonly referred to as a physical capacity evaluation, work capacity evaluation, or disability assessment. 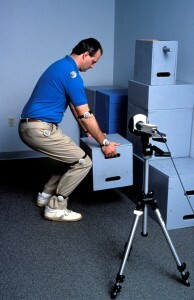 The testing tends to focus on work activities (in an effort to reduce the potential for injury). Someone undergoing an FCE should expect to perform activities such as sitting, standing, walking, reaching, lifting, and bending. The FCE is equally applicable, however, to avocational activities such as working in the yard, helping move furniture within the home, or lifting a grandchild. The evaluation can assist in determining restrictions or modifications that should be followed and the need for continued restorative therapy. By performing various activities that simulate the activities of concern, this “live” test can evaluate an individual’s ability to perform the task. At the same time the simulation can remove the fear of injury. There is a difference between what someone does do and what he or she can do safely. To determine what can be done safely, it is not enough to simply have them perform the task in a controlled environment and under supervision. Determining safety information requires evaluation of the tasks in question with concurrent computerized digital analysis. Motion anaylsis equipment is used to collect data about the individual. First, special reflective markers are placed on the body. A camera then records the person’s movements while performing certain tasks. 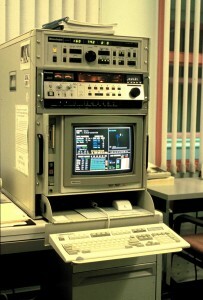 The markers serve as digitalization points recognized by software. These points are then extrapolated into known databases that quantify structural design limits. By analyzing all the data, conclusions can be reached on structural design limits for each individual and as a relative comparison to established norms. Physical parameters such as torque and disk or joint compression, and kinesiological factors such as how the movement actually occurred are used for individual determinations. By utilizing NIOSH accepted norms, relative risk comparisons to the population as a whole can be derived. The most effective FCE is one that uses of a combination of both supervised task simulation and computerized motion analysis. An FCE done this way gives both subjective and objective results. The subjective result tells what was done and the objective result tells what can be done safely. Your physician can make use of the information attained to help formulate a treatment program that is tailored to your body, to review restrictions, and to discuss potential for injury with various activities. While relieving symptoms such as pain, weakness or numbness is often why someone first comes to the doctor, knowing what you can do safely is invaluable for prevention of re-injury and maximizing function.